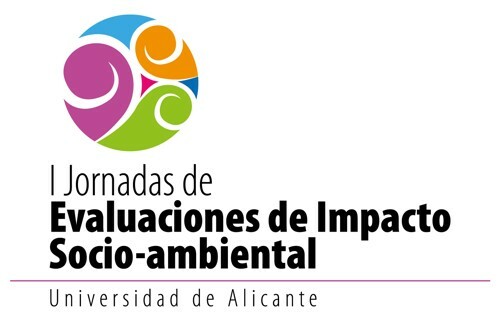 These Days, that will be held from 31 march to 4 April at the University of Alicante, have as a goal the training of students, technicians and experts in the Methodologies of Social Impact Assessment. Social impact assessments are becoming a requirement on the part of the large global institutions and regional for the design and execution of development projects, engineering works or social interventions. The EIS is presented as an instrument oriented to strengthen the decision-making process related to the design, implementation and management of the project. This approach aims to contribute to the risk management of the interventions in terms of targeting the reduction of economic costs, social and environmental both of those fall on the companies or institutions driving the action as on the local communities affected. Emphasizes that the EIS should be incorporated from the start as a tool of design, and to accompany the project as an important piece in their management and follow-up. This approach extends the concept of a project beyond the work or the intervention of the study in all phases of their life cycle and to understand it as a social process and not just as a technical exercise. What is a Social Impact Assessment? A) The Social Impact Assessment (SIA) arose from the need to include in development projects, the study of, on the one hand, the consequences or social impacts of such projects and, on the other, the effects of the social in such projects. The EIS aims to address the deficiencies in the “social accounting” of any project that produces social change in communities affected or involved. The EIS can be applied to projects, actions or interventions such as: projects of cooperation and development, environmental, tourism, industrial facilities, public works, urban development plans, changes or modifications in the institutions of health or education, social intervention programmes as well as specifically to complete the social analysis in the Environmental Impact Studies (EIA). (B) The EIS provides a structured methodology to carry out a change in the way we understand and manage the social aspects involved in these processes. Until very recently, the social have been treated as a cost. The EIS proposes to understand the social as a resource and its proper management ensures a greater likelihood of success. Form into theoretical, epistemological, methodological and technical aspects of the Social Impact Assessment in the framework of the design and development of projects of intervention in public and/or private environment. 1. Knowing the environmental context in which it arises the necessity of the EIA and the EIS: history and present. 2. To know the theoretical framework of the EIS: major currents and themes. 3. 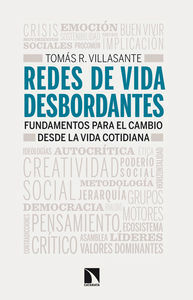 To know the foundation of epistemological of the EIS and its axiology. 4. Know the phases of execution in a process of social impact assessment. 5. To know the existing methodologies, their processes, features and the principles that ground it. 6. Learn the techniques of social research that are fundamental to the EIS and how to apply. 7. Know the basic procedures of analysis of quantitative and qualitative data from the techniques cited above. 1) university Graduates in areas related to the design and development of intervention projects (sociology, tourism, architecture, engineering, environmental science, ecology, biology, economics, cooperation and development, health). 2) Professionals in public or private accredited experience in the design and management of projects that involve changes to socio-environmental in the environments of reference. *It is necessary to submit documentation for validation. You will be able to enroll until the march 24, 2014. 2. After the payment, you must attach the receipt on a message sent to e-mail: tallereis@ua.es. Until you receive the confirmation response, it is not you enrolled. Certificate of attendance of 40 hours by the University Institute of the Water and the Environmental Sciences. 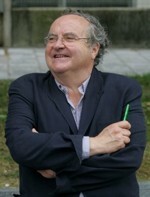 (IUACA). It is necessary to pay to receive the certificate. No Registration: the maximum number of students admitted to the course will be 60 students.